A delegation of Syrian lawyers and women rights activists have travelled to Stockholm to learn from Sweden experience in developing gender sensitive legislation. 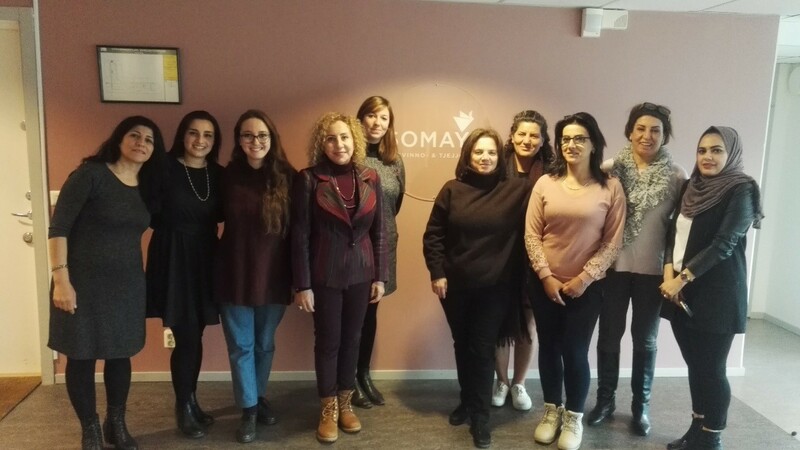 In the frame of the program Toward Sustainable Peace and Democracy in Syria Through Strengthening Civil Society and Women Rights, funded by Sweden, the EuroMed Feminist Initiative organized an Exchange trip in Stockholm from the 22nd to the 25th of October. The Exchange trip aimed to increase Syrian women rights activists’ knowledge on gender equality, women’s rights and combatting VAW as integral part of democracy, peace and constitution building and develop their skills in advocating for gender-sensitive legislation. The delegation had the opportunity to visit political and legal institutions to learn about the Swedish institutional and organic structure to protect women’s rights and ensure gender equality. Through the meetings at the Gender Equality Ombudsperson’s Office, the Division of Gender Equality at the Ministry of Health and Social Affairs, the Swedish Association of Local Authorities and Regions (SALAR) and the National Agency for Education, the delegation learnt how the Swedish authorities were challenging masculinity norms and raising awareness on gender equality at very early stage. During this Exchange trip, a focus was made on combatting violence against women in law and in practice. The Syrian lawyers and activists met with representatives of the National Centre for Knowledge on Men's Violence Against Women (NCK), as well as the RFSU (the Swedish Association for Sexuality Education), to discuss legislations, training programs and awareness raising campaign . The Syrian delegation also learnt from Swedish CSOs experience in creating and developing helpline and shelters for victims with the support of the Swedish Government. As an example, the delegation visited the Somaya Centre, which provides advice and supports services including safe houses, childcare, prevention and advocacy. 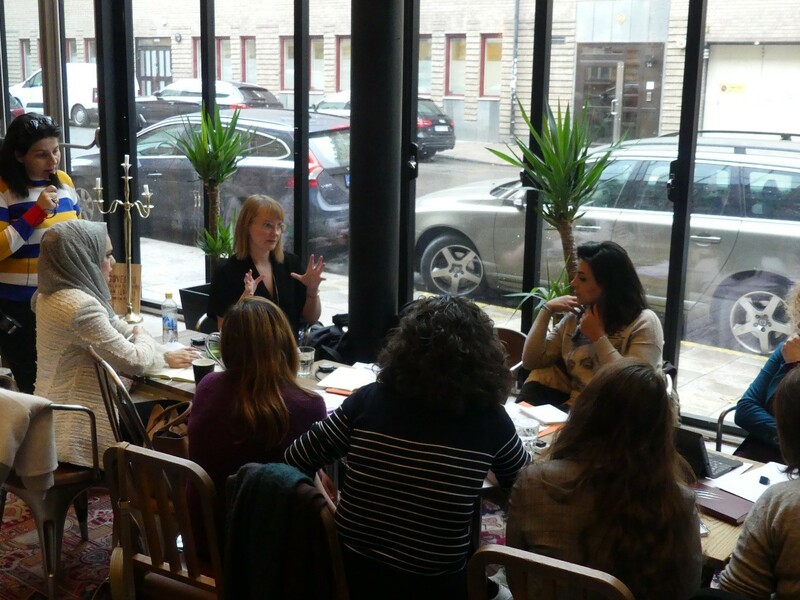 During this exchange trip, the delegation of Syrian lawyers and women rights activists gained important knowledge on the mechanisms and the long-term strategies implemented in Sweden to ensure gender equality. The gender sensitive education system and awareness raising campaign inspired the group for their future activities.